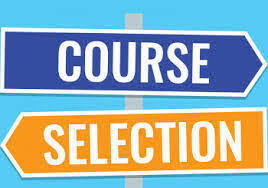 Where Do I Go If…..
As a reminder, Course Selection is due on MONDAY, FEBRUARY 18TH through the Student MyEd Portal https://myeducation.gov.bc.ca/aspen/logon.do. We have attached the “Step-by-Step” instructions to complete your Course Selection should you have any questions. We encourage you to research any post-secondary admission requirements and career plans before you select your courses for September, so that you are able to meet any of their pre-requisites. Are you looking at earning some extra $$ for the Holidays? Or….possibly start saving $$ for Post- Secondary? NOW is the time to start looking/applying at places for the Holiday Season (and possibly continuing on after). As a Cashier, you are the first and last point of contact for our customers. You are the first person that customers see when entering the store and the last person customers will remember when exiting. Candidates should have excellent communication skills, strong organisational skills and an ability to multi-task in a fast-paced environment. Maintaining standards in areas such as handling of merchandise, presentation, loss prevention and all other duties are key. Applicants must also have the ability to maintain knowledge of policies and current promotions, as well as demonstrating the skills to actively engage with our guests and unlock the reason for their visit. You must also be able to work a flexible schedule including evenings, weekends and holidays which is required for this role. You are enthusiastic, courteous and you enjoy working with customers in a fast-paced environment? Always up for challenges, the Sales Associate offers a unique customer experience by always representing the brand image through his/her attitude and product knowledge. We are looking for positive and motivated candidates to join our team! Hey Grade 11’s & 12’s!! Are you interested in learning how culture affects our personal identities, as well as our relationships and interactions with others? This is a hands-on course that gives students the opportunity to act as peer helpers to newly arrived Burnaby international students. The course will combine face-to-face training on becoming a global peer helper with online discussions to support students to successfully navigate culture. This course will also provide students with a hands-on, practical experience as Intercultural Mentors, where they can see their learning in the field. Communicating across cultures has become an essential skill in the 21st century, and BC students are needing the skills to thrive in a quickly changing world. Employers and post-secondary value intercultural competence, while these skills can also help us build stronger communities that recognize and affirm diversity. Whether you are thinking about a career in business, leadership, health sciences, social work, international politics, or simply wanting to think about the way your own cultural background affects your behaviours and beliefs – this course is for you. What Are the Goals of this Course? Understand how gestures, symbols, values, and communication patterns are affected by culture– and how these behaviours and beliefs affect our interactions. Examine different worldviews as students create an authentic relationship with someone from a different culture than one’s own. I have attached a copy of the Course Outline for more information. If you do have any questions about this Course, please contact Ms. Cho (Diane.Cho@burnabyschools.ca) who is a Counsellor with our International Students Education Program. This is a fantastic opportunity if you are interested Grade 11s & 12s!! 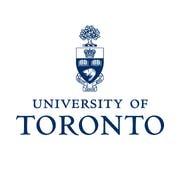 University of Toronto – Applying Updates!! All students can find our application, and details about next steps, at future.utoronto.ca/apply/applying. We strongly encourage all applicants to submit their application by November 1. We also strongly encourage all applicants to submit their required documents by November 15. Programs will fill early, and some may fill even before the published deadlines. Applicants are assessed for admission on their entire academic history. Emphasis is placed on their latest two years, however the admissions committee is looking for consistent academic achievement. Some applicants may be asked to complete a self-reported grades form. It is important that applicants complete this form even if they have submitted official transcripts. This year, admission decisions for secondary school applicants are released during three admission rounds, occurring in February, March, and May. It is strongly recommended that applicants submit required documentation well in advance of deadlines, as some programs fill early, and some may fill even before the published deadlines. Are you interested in Challenging a Language that you are already fluent in? You can go to Crystal Mall, Metrotown, Costco, etc…. ♦ NOTE: All universities in Canada accept our Language Challenge exam marks. UBC accepts Challenge credits for pre-requisite and requirements for courses and second-language requirements but does not accept Challenge marks as part of the GPA calculation for admission. It is highly recommended that you check with your intended university for their admissions requirements. Don’t forget to book your Grad Photos at Artona!!!!! There is a refundable deposit of $60 that you pay when you go in, but you will be able to put that money towards any set of photos you decide to buy. Remember to go have FUN with these!!! !